What will the 2017 eclipse look like where you live? Use this handy eclipse simulator to find out. Did I mention that I’m so excited for this? I’m really excited. So excited. So excited. We’ll be road tripping to Wyoming to see the total solar eclipse. Apparently, experiencing one is really weird. During a solar totality, animals usually fall silent. People howl and weep. Flames of nuclear fire visibly erupt like geysers from the sun’s edge. Shimmering dark lines cover the ground. 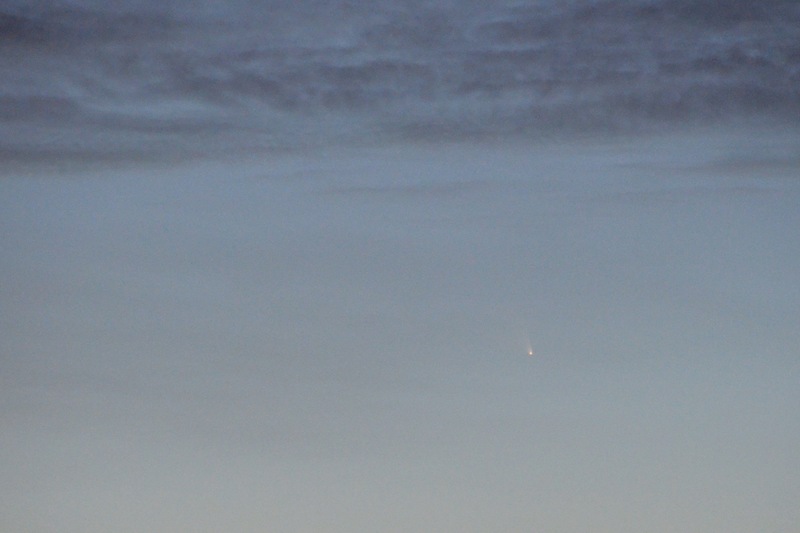 I was finally able to catch Comet PanSTARRS tonight from our roof in North Oakland. So hard to see, but awesome. Caught it with my DSLR and a 200mm lens. See you again in 110,000 years, PanSTARR! 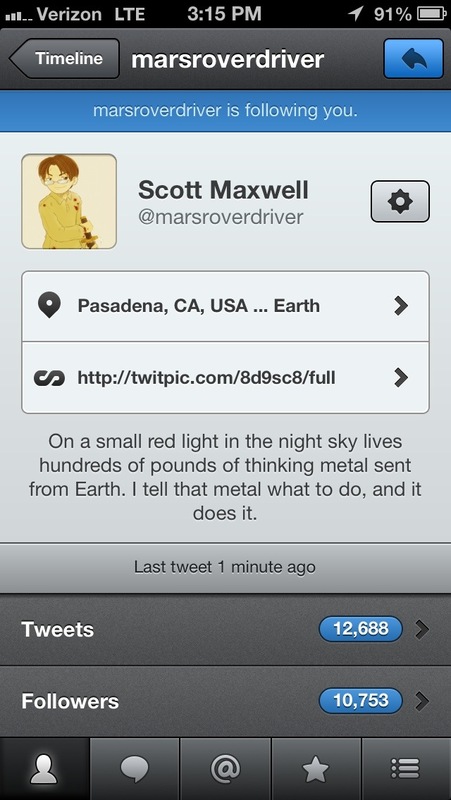 There is a man on Earth who drives a rover on Mars. And he follows me on Twitter! On April 28th and April 29th, 2011, I was fortunate enough to participate in the NASA Tweetup for STS-134. It was to be the final flight of the Space Shuttle Endeavour and the second to last mission in the Space Shuttle program. I traveled to the Space Coast from San Francisco and spent three fantastic days with fellow Twitter users and enthusiastic space geeks at Kennedy Space Center. Things didn’t always go as planned (you’ll see), but it was an experience that I’ll cherish and never forget. Godspeed, Endeavour.